SecuraSoft™ PST to PDF Converter is a complete tool since it enables the PST file conversion to PDF proficiently. The users can store and secure the important emails, contacts, etc. in PDF and restores the file from damage using the advanced algorithm implemented. PST to PDF converter enables Outlook user to store PST file into PDF documents. Tool to export outlook PST to PDF file brings all Outlook items like Email, Contacts, Calendar, To-do etc. with entire Meta data. The Outlook PST to PDF Converter supports the conversion of PST files without data lose. You can export selective items as well as the selective folders or can convert the whole files/ folders within seconds. With the PST to PDF conversion tool the users can scan the PST files. 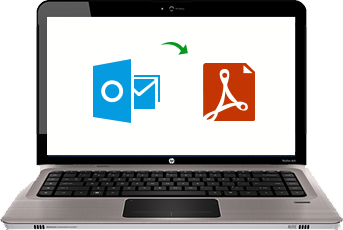 If the file is affected or damaged due to corruption or any other way, you can get it fixed with the tool and then convert PST to PDF with attachments. Outlook PST to PDF Converter is supported with efficient scan algorithms. There are two scan modes: Quick and Advance. If the file is less affected or is normal, you can go for Quick mode and if damage is severe Advance mode can fix it. When export Outlook PST to PDF, user can choose the naming convention option for saving the files as per the requirement so as to enable an easy search after PST to PDF Conversion. User can either save it by subject, subject+date, subject+from+date, etc. PST to PDF converter previews all the recovered PST files like emails, contacts, calendars, etc. along with the attributes such as; to, from, contact name, size of mail, email address, etc. at the time of PST file conversion to PDF. Now PST to PDF converter can also remove duplicates from resulted Searched Items. It also saves the Search result for later use. I'm very much thankful to the developers for making such a tool. Now I can take the print of the important mails without much effort. Thank you guys for the Outlook PST to PDF Converter. I had to Bate Stamp some of my mails but, it was not possible with the PST file. Then I came to know about the tool and converter the file to PDF. Now I can stamp the file. Thank you guys for such an effortless work. The tool is so efficient. It enables the PST to PDF conversion with the facility of searching within the PDF file. To be frank, it is good and affordable software. Thanks to the organization for such an efficient tool. I had many mails to be converted as the matter of security. The PST to PDF converter is worth advisable and effortful. PST is the storage area of Outlook files, stands for Personal Storage Table. It is the primary file of MS Outlook and stores all the emails, calendars, contacts, notes, etc. The file format is of two; ANSI and Unicode. In earlier versions of Outlook 2000 to 2003 supported ANSI format which is of 2 GB and the rest of the versions stored in large size supported format; Unicode. The PDF format stands for Portable Document Format; it presents the docs independent of any application, hardware, etc. Once if the file is saved in PDF format, no one can make any changes in the file and it will be securely stored. Editing the PDF file is not possible and hence the reports and other files are stored in PDF. Why Should PST File conversion To PDF? If the user was to take a print of the mail, it becomes possible only if he PST file is converted to PDF. For saving the important emails secured, PDF format is necessary. So, PST file need to be converted. Bate Stamps cannot be provided to PST files, if needed. It can be done only on PDF files. Hence, PST file conversion to PDF is essential. The PST to PDF Converter Tool is implemented in such a way that the users won't have to take much effort to export Outlook PST to PDF. It's build on simple interface so, can be easily understood. The software allows exporting the selective PST files to PDF, if needed without wastage of time. Software is designed with outstanding feature and keep the reliability of consumer is our uppermost priority. Outlook PST to PDF Converter serves the advance feature of Scan Mode to recover corrupted PST files and convert them to PDF file format.